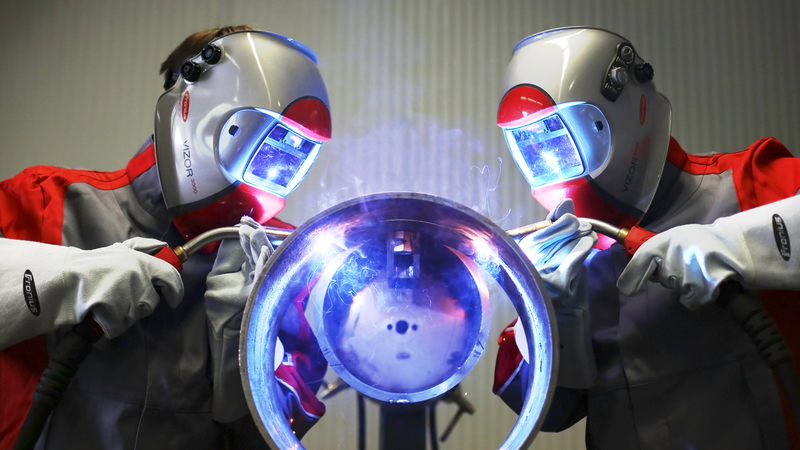 Fronius welding helmets make welding tasks safer, more efficient, more precise and more comfortable. They detect when you start welding and automatically darken the filter extremely quickly. This ensures optimum visibility before, during and after welding. They also feature high-level heat and radiation shielding, constant UV/IR protection and optimum wearer comfort.